When the Leafs traded Mike Brown to Edmonton, I became concerned. Were they eliminating Mikes from the team? Earlier this week, the Maple Leafs used one of their compliance buyouts on Mike Komisarek, officially ending the Mike Komisarek era in Toronto. 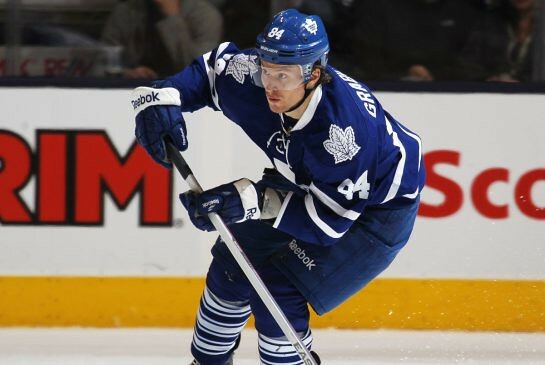 Earlier today, the Leafs used their last compliance buyout on Mikhail Grabovski. Mikhail, as you likely know, is just a Bulgarian / Belarusian / Russian Mike. Too bad, he was one of the hardest workers in the Bruins series, just couldn't get any luck. I liked him, too. But, when your 3rd line center is making 1st line money, that's a problem. If he was making 2013 MacArthur money, then I'm sure he'd still be on the team. I'm certain that Nonis either has Bozak ready to sign or someone else with a handshake agreement that will take Grabo's spot. And Randy Carlyle hated him. "is just a Bulgarian / Belarusian / Russian Mike." This entry reeks of racism. It was a shame that this hard charging hockey player couldn't have been a part of a better, while more locally Ontario balanced, Leafs squad. C'mon CQ, Burkie's Leafs weren't Ontario balanced... they were/are American heavy! Good call with the Berezin comparison. He did win us a few playoff games, though. I can't tell - were you being serious CQ, or just kidding around? Someone "drives bys" at my postings (in May) - then leaves only one 'this reeks of' comment. I'd comment more on your blog, but you moderate comments. That's a deal breaker for me. But I did leave that one comment because your entry reeked of homophobia. The difference here is that my entry about the systematic elimination of Mikes on the Leafs isn't the least bit racist and you know it. @TSNBobMcKenzie. Leafs will not be re-signing Mike Kostka. Brennan should be a good fit. Farewell, Mike Kostka... the Mikes are gone. It wasn't 'Fake Phil' that drove by. Mike's intentions or not, it's how I actually read his typed words. Mike knows this too, otherwise he wouldn't have doubtfully asked at 9:44. For the record, he didn't know what you meant and I have the emails to prove it. I still don't know what he meant.